I just flew back from running the Student Newsroom at the Online News Association and, boy, are my arms tired. And my feet. And my brain’s about to explode from all of the lessons learned after being at the helm of a program staffed with some of the planet’s best and brightest journalism students, professors and newsroom professionals. 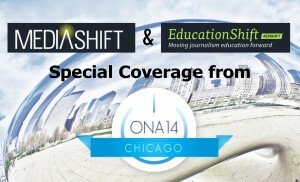 As journalism educators, what can we learn from programs like this? For one thing, I know that I need to encourage my students to perform like some of the students in this year’s ONA Newsroom. 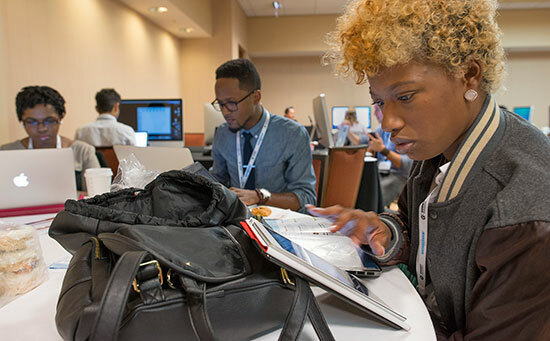 ONA, like many other journalism associations, invites promising journalism students to apply for an all-expenses paid trip to its annual convention. In exchange, they parachute into a hotel function room, magically transformed into a newsroom, and get to work turning out daily coverage of the conference and the host city. If you regularly attend journalism conferences you’ve probably seen them scurrying about, interviewing, shooting, recording, live tweeting. It’s such an exhilarating couple of days that they barely notice just how much work it is. This year’s tally: 68 stories published; one news app and a quiz (built on-site); several data stories, including this one that proves it’s best to register early for ONA; 258 uploads to the media gallery (photos, graphics); eight video packages (several shot with Google Glass); six photo galleries; and a raft of tweets, audio clips, and snapchats. Yes, it was a ton of work and a great learning opportunity for both the students and the mentors. The truth is, we learn as much from the students as they learn from us. I rarely leave one of these projects without some new tools and ideas to bring back to my classroom. The mentors who still work in newsrooms say that they always bring back some fresh perspectives, too. 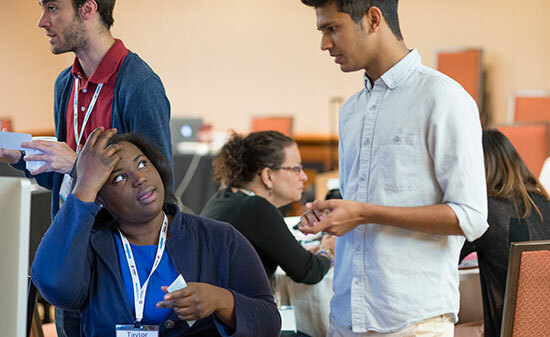 I’ve been a mentor, and now a leader, in conference newsroom programs like this for more than 20 years, working with an alphabet soup of organizations including NABJ, NAHJ, NLGJA, UNITY and ASNE. (Yes, I know I’ve violated AP style not spelling these out on first reference!) Over the years I’ve seen most of them evolve. Much like the industry, many of these projects have moved from a silo model (print here, TV over there, online, and radio in their corners) to digital-first, multimedia operations that work as a single team. 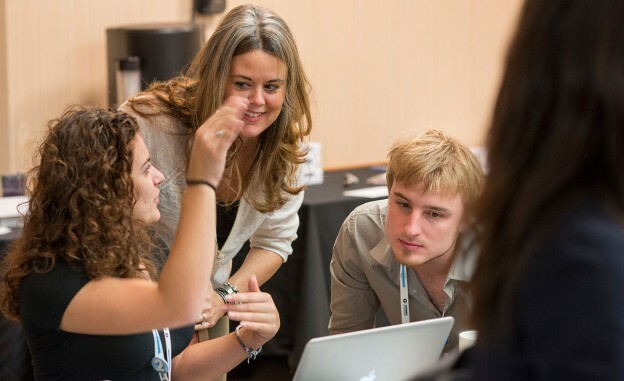 As journalism educators, what can we learn from programs like this? For one thing, I know that I need to encourage my students to perform like some of the students in this year’s ONA Newsroom. They didn’t hang back. The best of them were proactive about pitching stories and ideas, then getting them done. They shadowed their mentors soaking up every suggestion and taking to heart the mantra that we gave them at our first staff meeting: Try new things, even if they fail. I’d like to think that my students would do what Michael Geheren, DePaul University, did when he woke up and saw that a fire at an air traffic control facility had halted traffic at Chicago’s two major airports. He messaged me and my co-chair Katia Hetter to ask: Did you want a story? I can localize it. Answer: Yes! And lucky Michael, because Katia covers travel for CNN.com, so she worked with him to shape this story. He owned it for the next two days because he pitched a followup with tips on how stranded ONA attendees could get help. Quinn Western, California State University, Chico, initially raised my eyebrows when she suggested using Snapchat to send out brief conference updates. Keeping the “try even if it fails” mantra in mind, we gave her the green light. 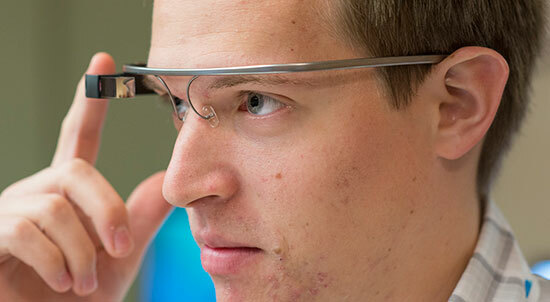 Student journalist Reuben Jones, from New York University, taps Google Glass to record video while experimenting with wearable tech in the ONA14 newsroom. When Google offered to let each student sign out a pair of Glass in two-hour (or longer) blocks, we insisted that they look at them with an eye (no pun intended) toward doing some journalism with the devices. Boston University student Kyle Plantz wore Glass on a visit to Chicago’s Willis Tower, recording his trip up and adding a breathtaking view of the city to his report. They also asked a deep-dish pizza maker to wear Glass for a “pie-eye” view of the process involved in making this Chicago favorite. Applicants to ONA’s newsroom tend to be overachievers, and it’s not surprising that some of them are attracted to coding. 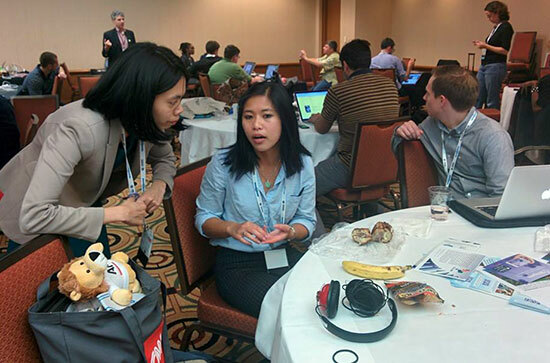 We’re fortunate to have an awesome team team of coding mentors, including Jeremy Bowers, formerly NPR and now NYT, and Sisi Wei, ProPublica, who oversaw students who produced some fine interactives. When Megan Clawges, University of North Carolina, saw that the crew from Sesame Street would be keynoting, she pitched this timeline. Jules Bonnard, who traveled to ONA from France, not only turned around this data piece on ONA registrations, he scraped data on the Online Journalism Award winners, cleaned it, and used it to create this feature. And in his copious spare time, he built this fun Awards Bot. One of the things that I’m most proud of this year is just how diverse our newsroom was. It was no accident that we were ethnic, gender, geographic and LGBT diverse. In selecting both the students and mentors, our goal was to look like America, and we achieved that. It also helped that the Knight Foundation sponsored four students from historically black colleges/universities (HBCUs) who, lead by Michael Grant of the San Francisco Chronicle, enriched the newsroom’s coverage. Taylor Walker, Boston University, Will Jet’s Digital-Only Leap Pay Off? Michelle Johnson is an Associate Professor of Practice, Multimedia Journalism, Boston University. Johnson is a former editor for the Boston Globe and boston.com.